DiCoDaMo stands for Digital Content Data Model. 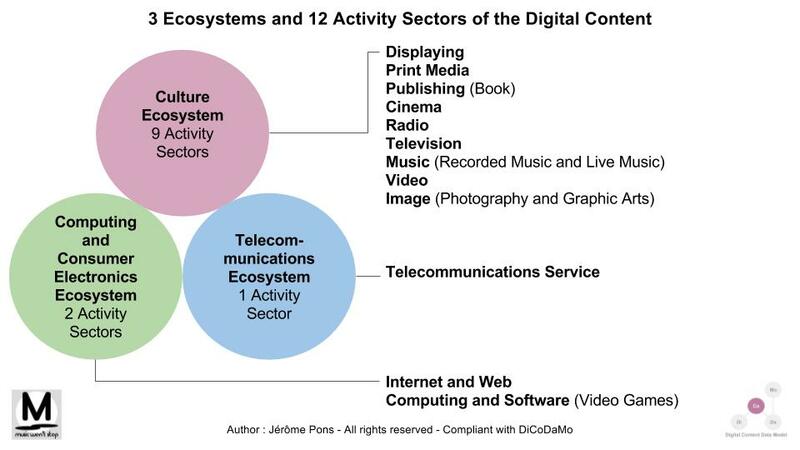 DiCoDaMo aims at building a Data Model common to 3 Ecosystems and 12 Activity Sectors of the Digital Content (including 9 Media and Entertainment Sectors). DiCoDaMo is an initiative led by Music won't stop. Subscribe to the mailing list "DiCoDaMo"